I'm not sure if my title is really correct as this blush was never hidden, I just didn't realise it existed. I was sent this blush a while ago and never really got a chance to use it as I have my staple blushers I keep reaching for. I decided to finally unwrap it and put it to good use. That was probably two months ago now and I've been using it literally every day. I really like it. 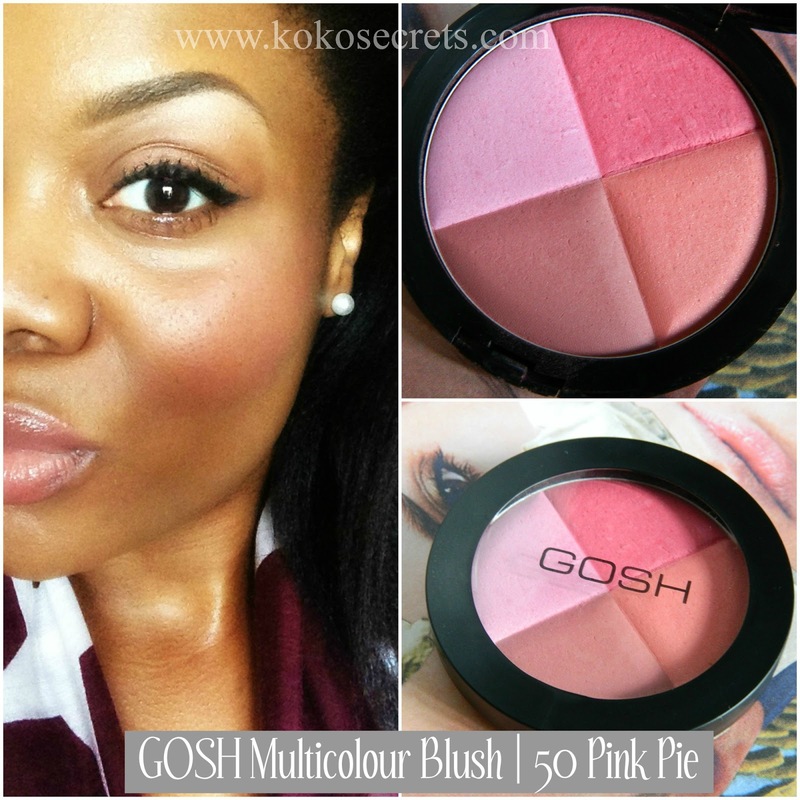 GOSH Multicolour Blush in Pink Pie contains 4 gorgeous shades; a matte rosy pink, shimmery coral, matte pale pink and a matte rosy mauve shade. I think there's definitely a colour for every skintone. As you will see from the pictures below, the shades are in sections which are big enough to get your brush in and use them individually. 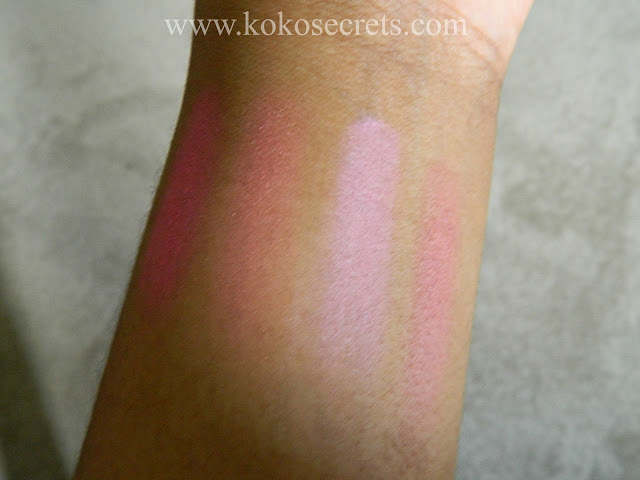 I have to apologise for the picture quality in those swatches. My camera decided to play up at the last minute. This powder blush has a light, velvet soft texture which goes on beautifully. Although it's a powder blush, it's not powdery at all. It has more of a creamy texture. The pigmentation is strong so you don't have to use much product at all. 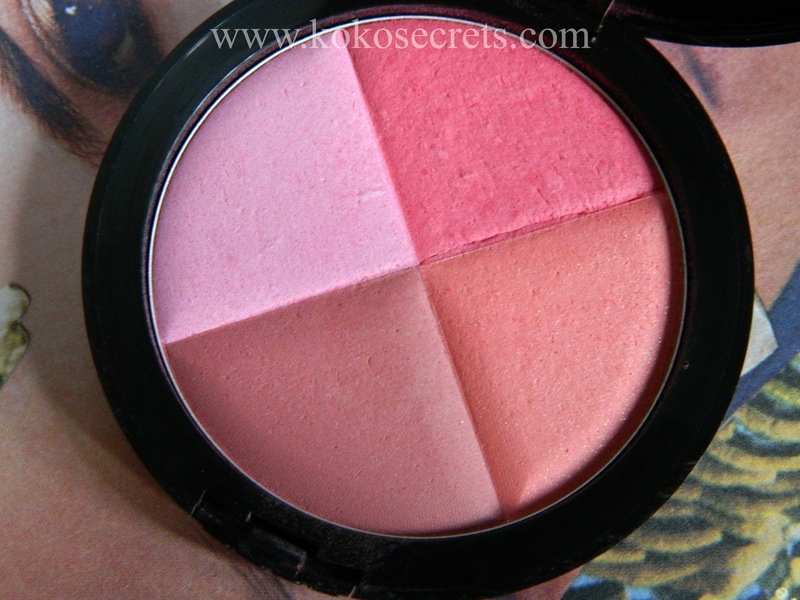 The blush contains Skin Conditioning Agent, which has a softening effect on the skin. The blush is also perfume-free. What is great about this blush is that you can change up your look regularly by using each of them or mixing all of them together. In the picture above, the colour on my cheek is a mixture of the shimmery coral and the rosy pink shade. I really enjoy using it and have had a number of people stop and ask my what it is. The blush retails at around £8.00 which is not bad for essentially four blushers. You can pick up GOSH cosmetics in Superdrug in London. 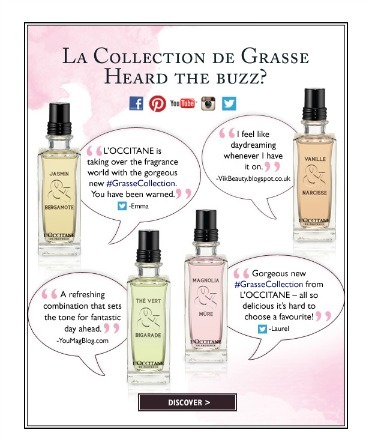 Have you tried any products from GOSH? Which is your favourite? 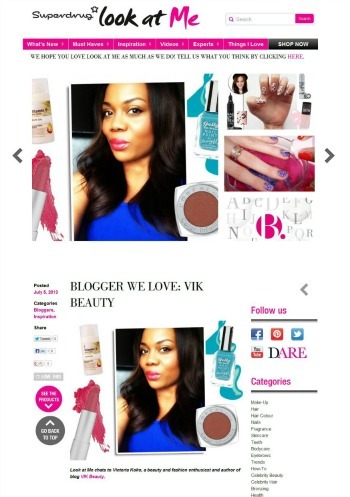 Dont forget you can follow on ..
Beautiful pic Vic! This is a timely post, as i've been on the look out for a blush and/or bronzer for my upcoming holiday (!!) I'm very choosy about ingredients though...does this contain talc by any chance (aka skin clogging evil-ness)? Beautiful blush!!! Look AMAZE on you!